This is the first of what may become a series of articles providing information in advance of the upcoming General Election. In this first article, we ask the question, “What candidates and measures will appear on November’s General Election ballot?” The easiest answer is provided by the Secretary of State’s website. This web page is the online voter’s guide for Thurston County. Federal offices that are up for election this year include one Senate seat. Incumbent Maria Cantwell faces off against Susan Hutchinson. The online voter’s guide includes a statement by each campaign and links to the candidate’s website. There are also links to the Federal Election Commission website. But you have to find the candidate there, to see campaign finance data. The Griffin area is in Congressional District 10. In our Congressional District, Incumbent Denny Heck is being challenged by Joseph Brumbles. The Griffin area is in Legislative District 35. The candidates for the State Senate are Tim Sheldon, the incumbent, and Irene Bowling. There are two State Representative seats. In Position 1, incumbent Dan Griffey is challenged by James Thomas. In Position 2, the incumbent is Drew MacEwen, whose challenger is David Daggett. The online voter’s guide includes links to information describing the principal donors to each campaign. Three positions on the State Supreme Court appear on the ballot. Positions 2 and 9 are uncontested; there’s only one candidate for each. In Position 8, however, incumbent Steve Gonzalez is being challenged by Nathan Choi. As with the Legislative District candidates, in addition to campaign statements, there is a link to information describing the donors for each campaign. But in the case of Nathan Choi’s campaign, there is no campaign finance data reported, at all. For the Court of Appeals, Division 2, District 2, Rebecca Glasgow is the single candidate in this uncontested race. In Thurston County government there are three positions where there is a contest between two candidates. The other eight positions are uncontested. For the sake of brevity, what follows only describes the three races where there are two candidates. For Thurston County Auditor, incumbent Mary Hall is being challenged by Stuart Holmes. The voter’s guide includes links to campaign finance data. The race for Thurston County Commissioner for District 3, where the Griffin area is located, has incumbent Bud Blake facing off against Tye Menser. For Thurston County Prosecutor, incumbent Jon Tunheim is challenged by Victor M. Minjares. One seat on the Thurston Public Utility District is up for election. Incumbent Linda L. Oosterman is running against Andrew Saturn. There are four statewide initiatives and one advisory vote that will appear on the ballot. The online voter’s guide provides explanatory statements and arguments for an against each of these. There are also links to the full text of each of the initiatives. As of this writing, links to campaign finance records did not return any results. This measure would charge pollution fees on sources of greenhouse gas pollutants and use the revenue to reduce pollution, promote clean energy, and address climate impacts, under oversight of a public board. This measure would prohibit new or increased local taxes, fees, or assessments on raw or processed foods or beverages (with exceptions), or ingredients thereof, unless effective by January 15, 2018, or generally applicable. This measure would require increased background checks, training, age limitations, and waiting periods for sales or delivery of semiautomatic assault rifles; criminalize noncompliant storage upon unauthorized use; allow fees; and enact other provisions. Advisory Vote No. 19 Engrossed Second Substitute Senate Bill 6269 asks for voters to weigh in on an expenditure already voted into law by the state Legislature. The legislature expanded, without a vote of the people, the oil spill response and administration taxes to crude oil or petroleum products received by pipeline, costing $13,000,000 over ten years for government spending. A future article will look more deeply into at least some of these measures. You are probably aware of a number of websites that provide information to voters. Some are partisan and some are not. Much of this article has focused on the material available from the Secretary of State’s office. Another useful resource is Vote411.org, which is operated by the League of Women Voters. 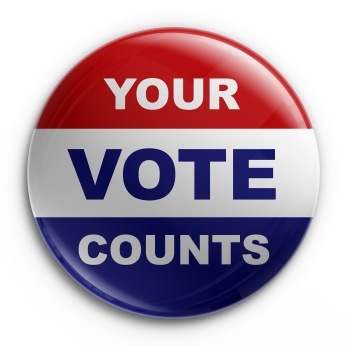 The Vote411 Voter Guide can be customized for your street address and includes information about each candidate and, in some cases, the candidate answers to questions supplied by the League of Women Voters. Future articles will supply additional resources for researching candidates and measures on November’s ballot. 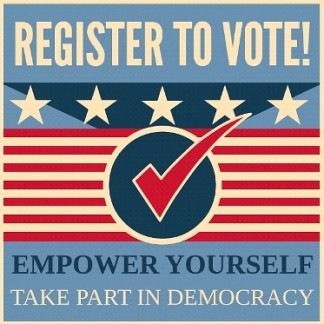 The easiest way to register to vote is online. Start on this web page. The deadline for online and mail-in voter registration, address changes, and other updates is October 8. After that date, the only way to register to vote is in-person at the County’s Elections Office. The deadline for in-person new voter registration is October 29. If you are already registered, you can change your address online, see your voting history and see a copy of your voter’s guide on this website. I see the PDC is now recording a group of Republicans masquerading as “progressive” in order to fund attack ads against the Democrat Tye Manser. “But,” you say, “I thought Bud Blake was an ‘Independent’.” Ha! He’s “independent” only because the Republican brand is a trainwreck, in Thurston County and elsewhere.